The decision to expand was motivated by two contributing factors. First and foremost, last November, the Republicans were at risk of losing their majority rule due to their opposition to Medicaid expansion. Second, Virginia’s growing uninsured population is a strain on the state’s ability to provide healthcare to its residents. Since the Affordable Care Act was introduced, the uninsured population has grown due to increasing costs for coverage. Supporters believe that Medicaid expansion will strengthen Virginia’s health care system and benefit both program members and individuals with private insurance. However, critics are concerned about the associated costs and sustainability of expanding the program. 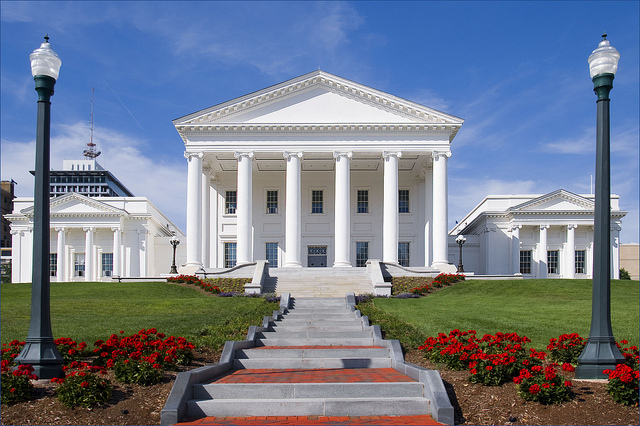 The vote for Medicaid expansion in Virginia is encouraging news for proponents of other states around the country seeking to expand their programs. At the moment, there are four states debating the issue. Utah – Despite support from legislators for a partial expansion, activists in Utah collected the required number of signatures to have a full expansion of Medicaid on the state’s November ballot. Currently, polls indicate that more than half of the state’s voters support expansion. Idaho – According to healthcare advocates, activists in Idaho have collected the required signatures for a ballot initiative. The initiative would allow residents to vote in November on a expansion of the states Medicaid program. At the time of this post, the signatures have been submitted to county clerk’s for verification by June 30th. Nebraska – Supporters of expansion in Nebraska have been collecting signatures since April for the Insure the Good Life petition. They will need 85,000 signatures from registered voters by July 5th in order to vote on the matter in November’s general election. According to groups gathering signatures, momentum is on the side of Medicaid expansion for Nebraska. Montana – Montana’s Medicaid program is looking to extend their expansion since it is scheduled to expire in 2019. In order to fund the expansion, a ballot initiative requiring 25,000 signatures has been authorized by the Secretary of State. Unlike other initiatives, Montana proposes an increase on taxing tobacco by $2.00 a pack along with a 33% increase of the wholesale price for tobacco products. Currently, advocates are promoting the initiative and securing signatures. As Virginia neared its first government shutdown, last week legislatures finalized a state budget that included Medicaid expansion. 400,000 residents will now be eligible to enroll in the program. The decision to expand the program, despite opposition from Republican leadership, could be a good indication as to what will occur in other states looking to expand this year.